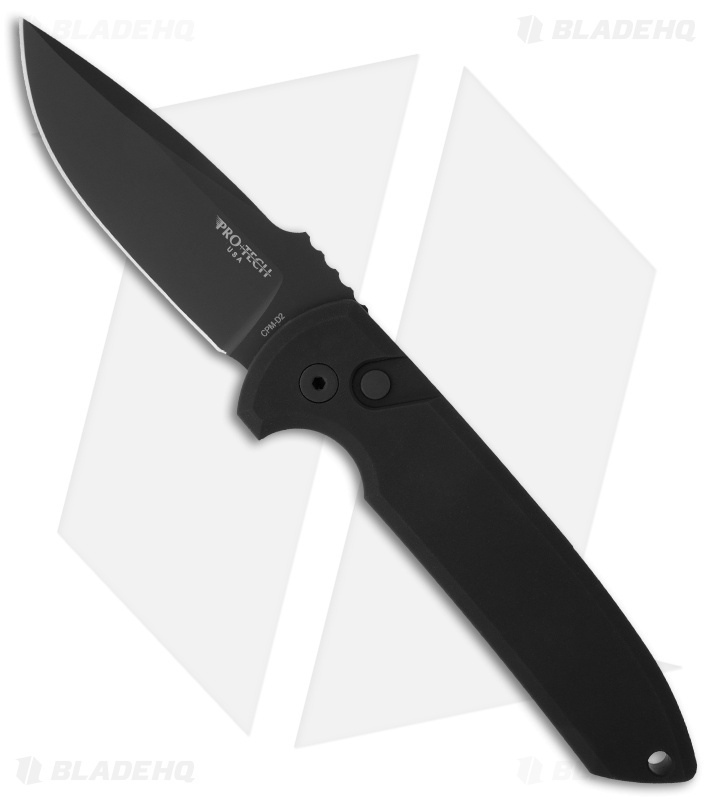 The Les George designed Rockeye from Protech knives is now available! This production collaboration is an impressive adaptation of the custom design put into an automatic configuration. It has a CPM-154 steel blade with a black DLC finish. The front side of the blade bears the Protech logo, while the back side has the George cross. The handle is 6061-T6 aluminum with smooth faces. The Rockeye is outfitted with a tip-up carry pocket clip. This is a Protech, so the action, lockup, fit and finish are all top-notch. This blade is fantastic, the fit and finish is supurb.. Fires super hard locks up tight as hell... Mine has zero play anywhere, I'm amazed. This is my first Protech purchase but won't be my last. The craftsmanship, materials, all of it is top notch... This will be my EDC so we will see how she performs, and I can't wait to put some miles on it. Buy one you will not be sorry.